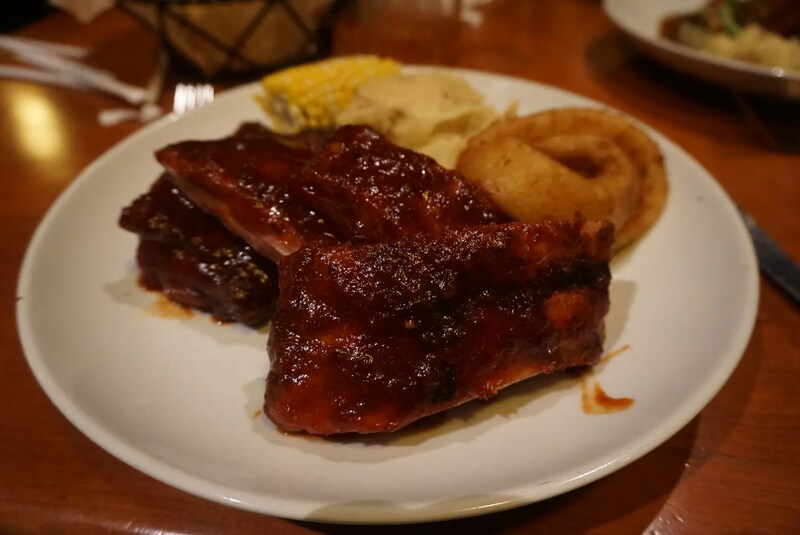 Our primary reason for choosing Whispering Canyon Cafe on our arrival night was because of its convenient location, right there at our hotel. 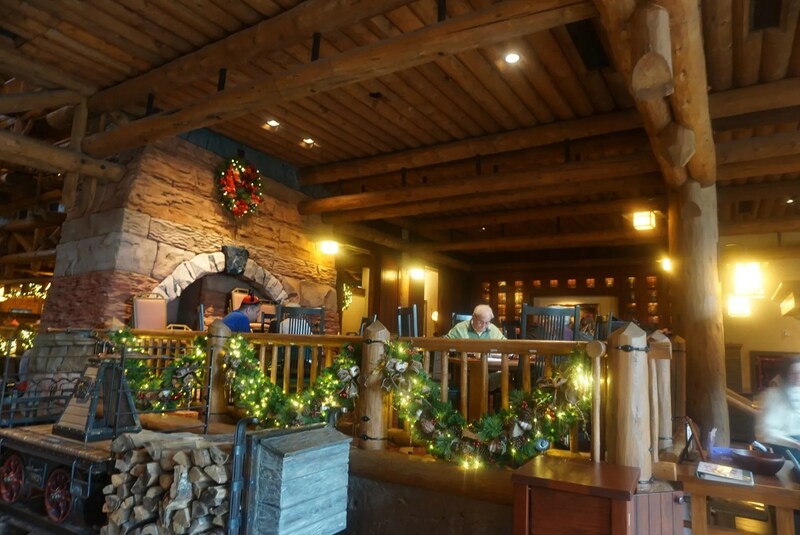 But also, we had not had dinner at WCC for more than 10 years so I thought we were due for a return visit. However, my son and I were pretty tired after a full day of traveling so I didn’t ask to be moved. 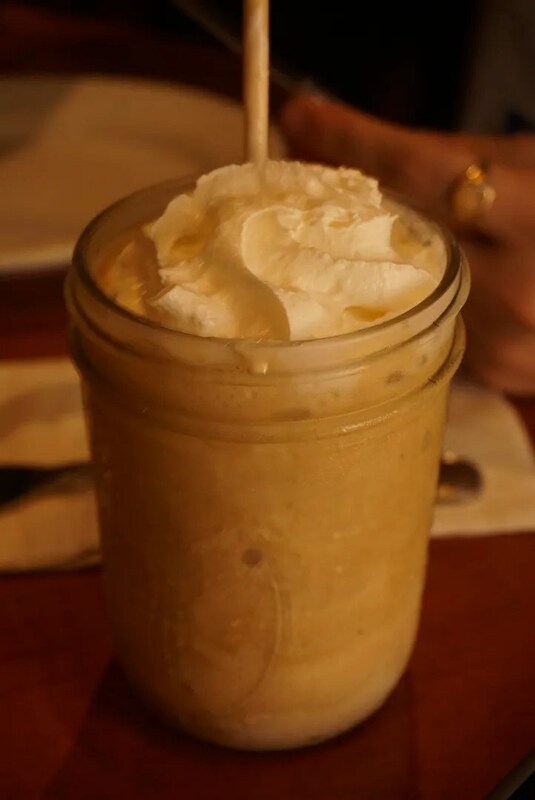 This was caramel flavored, which he said was okay, but he switched to a different flavor when he had it refilled. 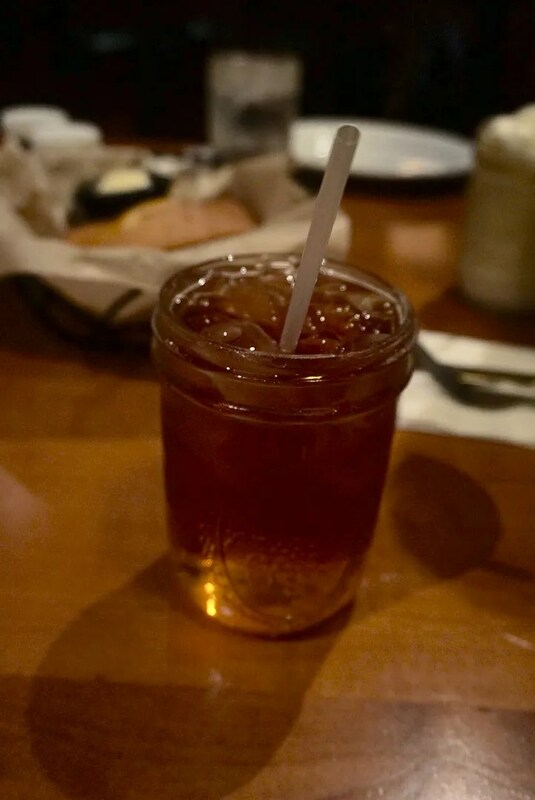 I chose just Iced Tea, which I don’t see listed on the menu. In looking at my receipt now, I see I paid $3.49 for it. I think that is more than they charge for their soft drinks so I probably should have stuck to water. 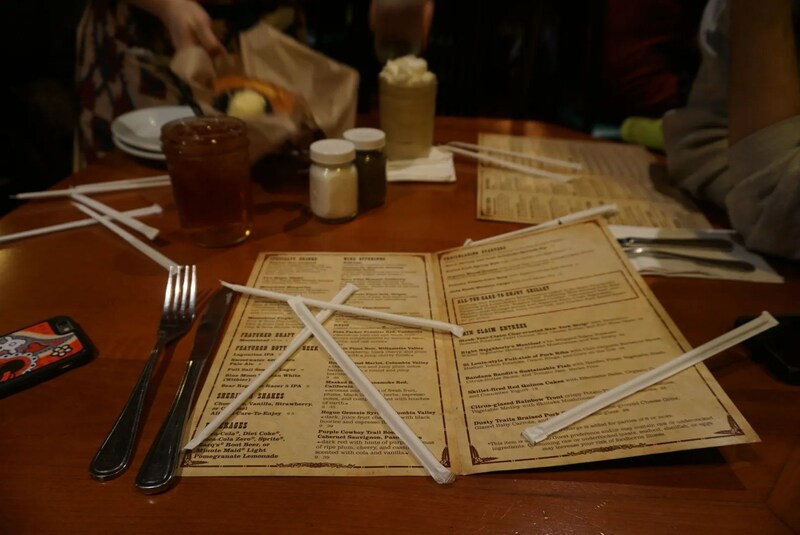 …and straws when she delivered our drinks to the table. 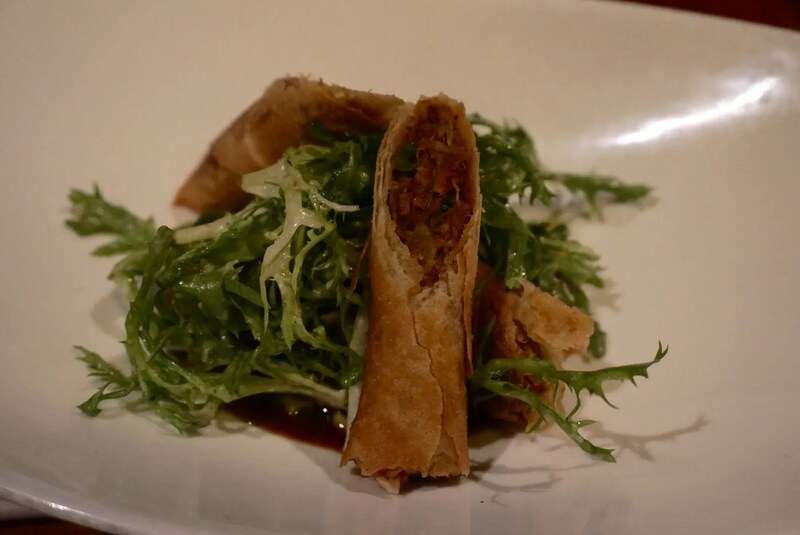 The spring rolls were good, nice and crispy. 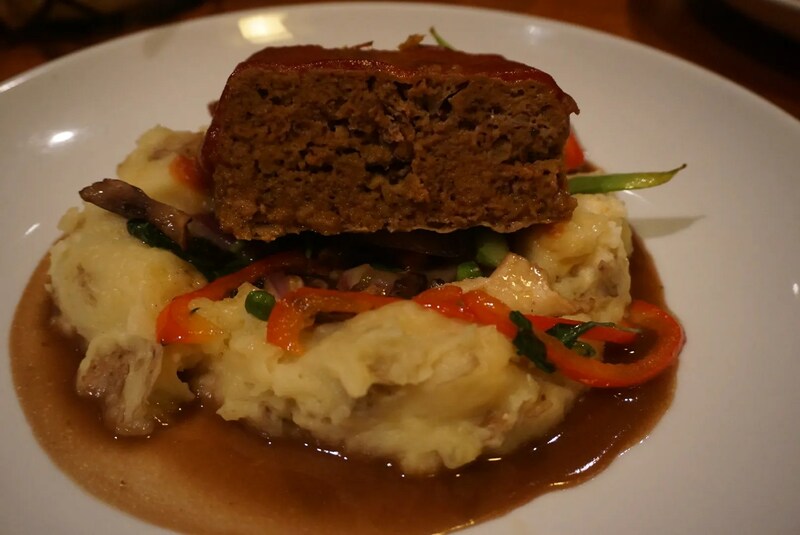 Again I didn’t like the sauce that covered the meatloaf, as it was way too sweet. The mashed potatoes and gravy looked good but the potatoes were very salty. My son thought the meatloaf was okay though (thought it was a little better than his ribs) and he was very hungry so he ended up eating most of both entrees. 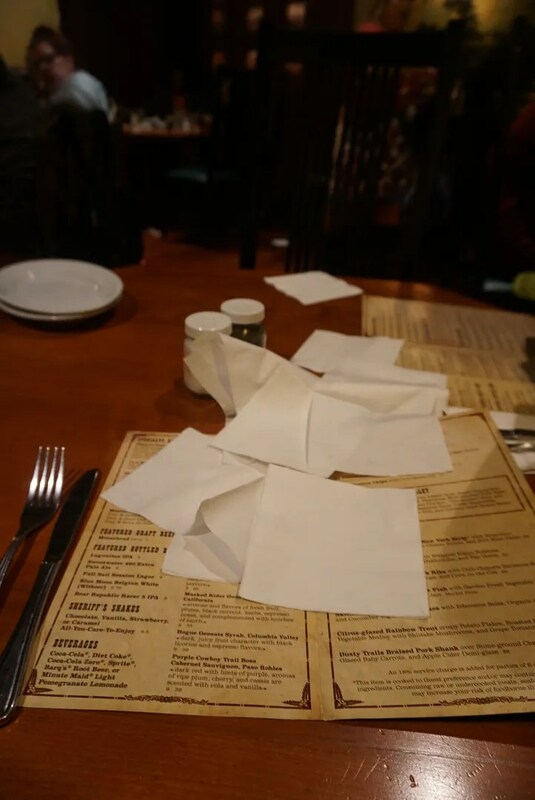 No dessert was ordered, as he was full and wanted to go back to our room to watch the fireworks from our balcony and I had plans to meet up with my friends, Paula & Hunter, at the Territory Lounge. 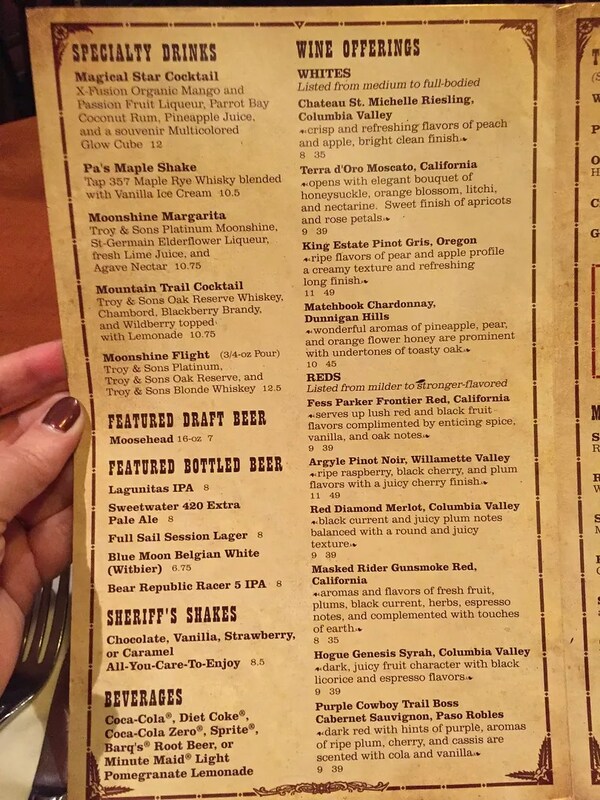 And speaking of the Territory Lounge, I really wished that we had had our dinner there. Everything that we had tried there on my last trip had been very good and there were several more things on their menu that sounded great. 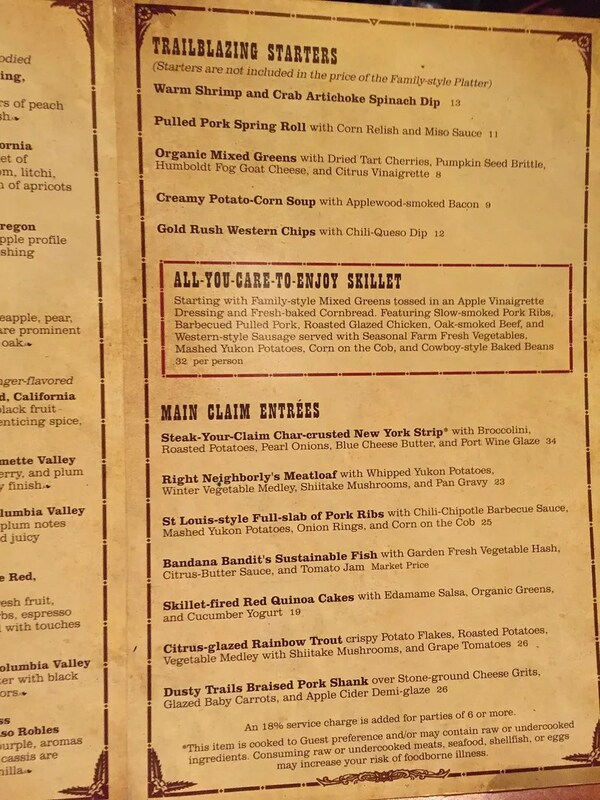 So overall it was probably a bad decision on my part to start our trip with dinner at Whispering Canyon Cafe…but of course, hindsight is 20/20. 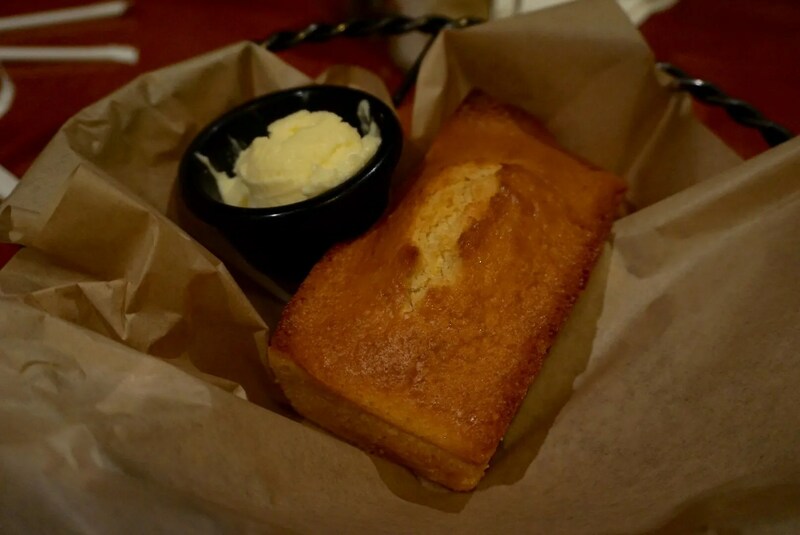 In my last dining report from Austin I compared our thoughts to those of Trip Advisor and Yelp reviewers so I’ve decided to continue to do that with this Disney dining report. 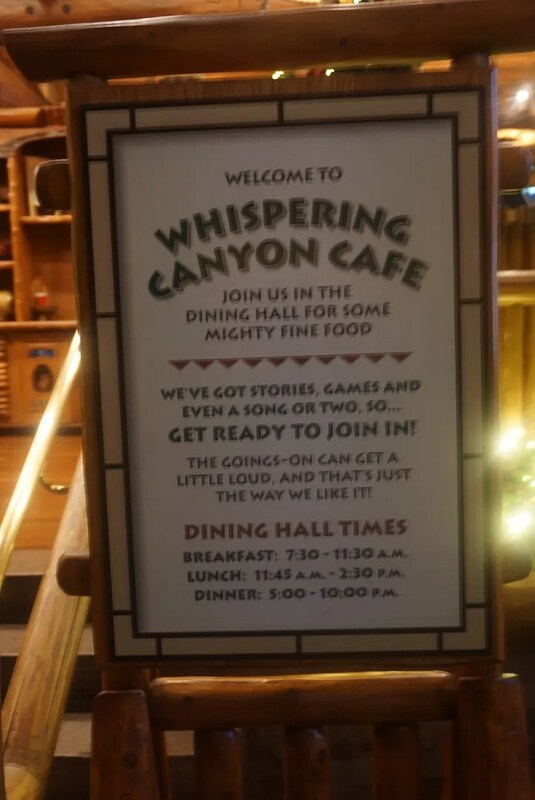 First of all, on both Yelp and Trip Advisor, Whispering Canyon Cafe received a rating of 4 stars. I would give three out of my four most recent experiences with WCC prior to this dinner a rating of 4 1/2 stars. Two of these good experiences were breakfasts and one lunch, and all of them were between the years of 2013 – 2015. However this dinner and a breakfast I had here in 2014, I would rate as only 3 stars. 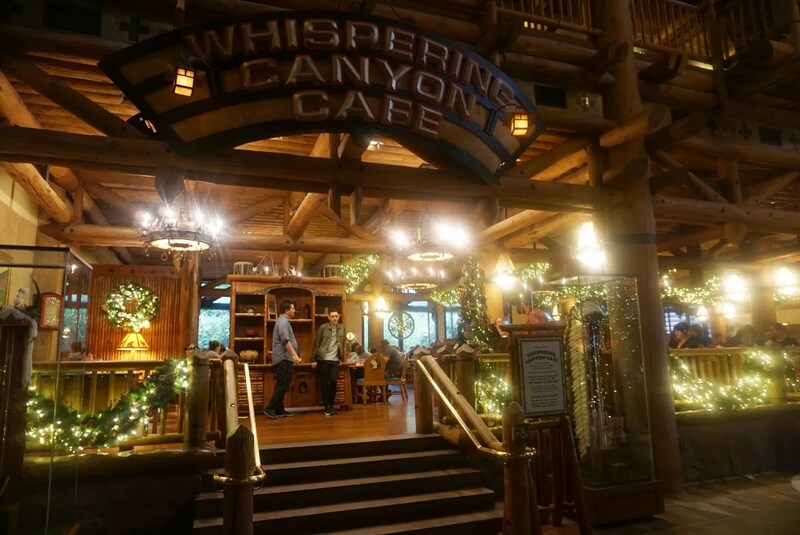 So the overall average for my last 5 visits to Whispering Canyon Cafe would be about 4, therefore I guess I would agree with Yelp and Trip Advisor reviewers. 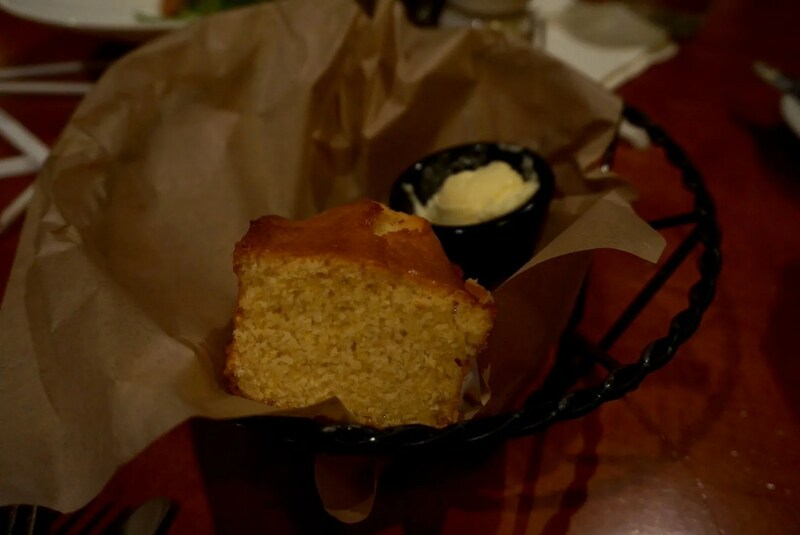 Another interesting tidbit is that Whispering Canyon Cafe is currently ranked #166 best of the almost 3,000 restaurants in the Orlando area and #34 best of the Walt Disney World area restaurants reviewed on Trip Advisor. With these rankings I would have to disagree, as I think they are too high.